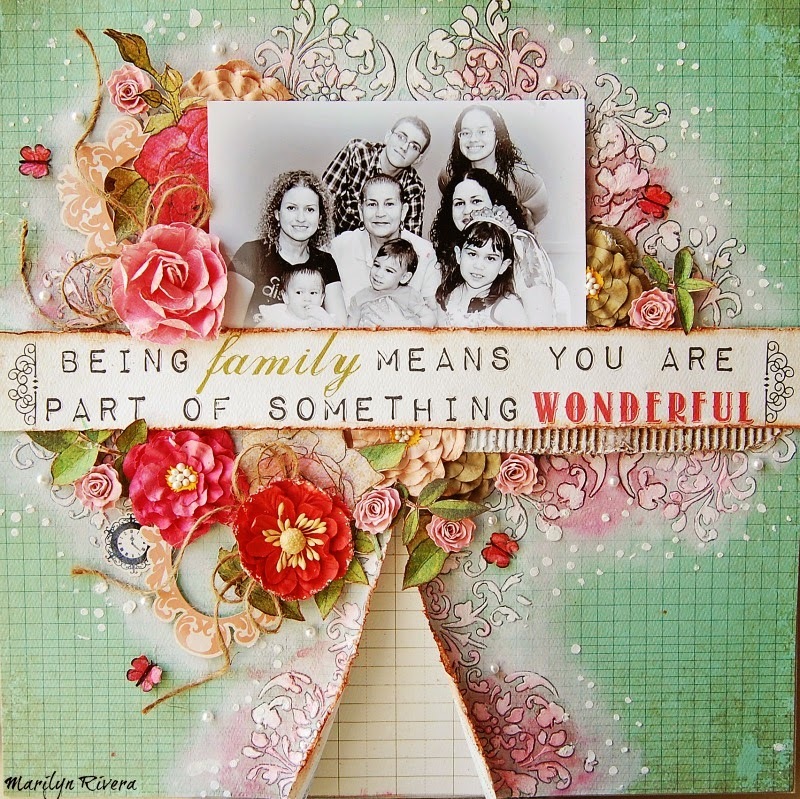 Treasuring Memories: My Creative Scrapbook - Sept LE kit reveal!!! 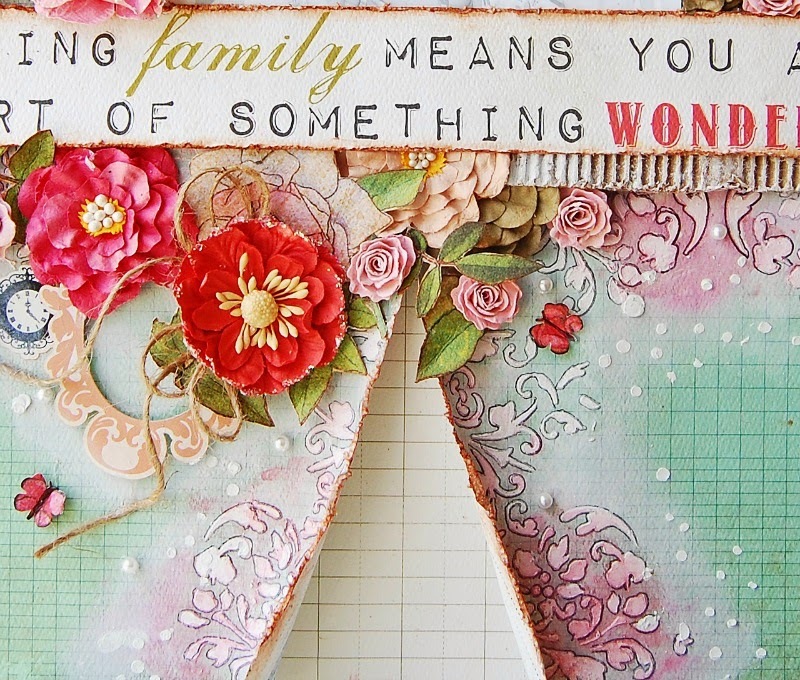 I share with you today my first page that I create with the gorgeous Limited Edition kit featuring Authentique papers, Carta Bella papers and lots of Prima products. 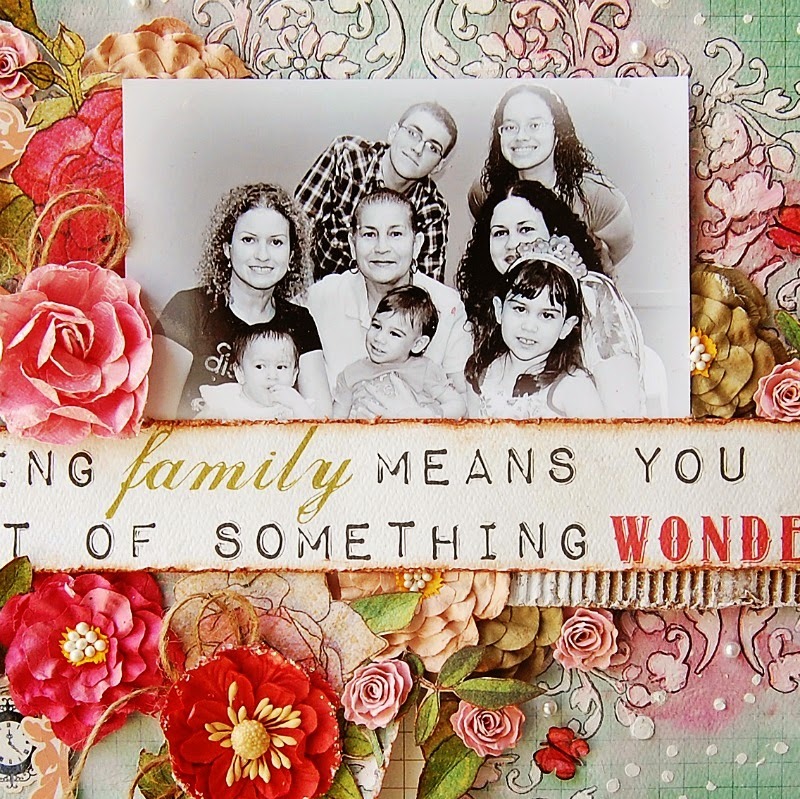 Here in the photo are my dear mother and sister with me, my adorable nieces & kids...I love the quote that comes in one of the papers and it goes perfect in my page! Gosh, this turned out really gorgeous! I love the dreamy colours and your amazing background work. 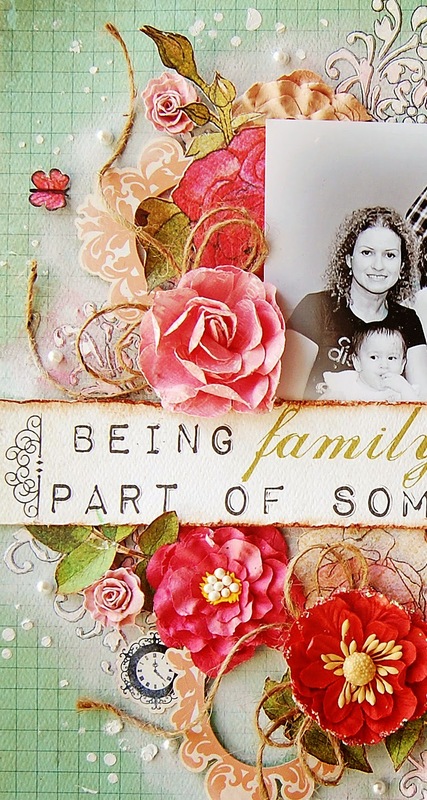 Sensational page...I adore how you used that stencil, & the colours in the flowers & handmade little roses.....YUM!!! Wow wow wow!! This is gorgeous! LOVING the colors and the flowers!!!! You totally rocked this kit starting right here, right now! 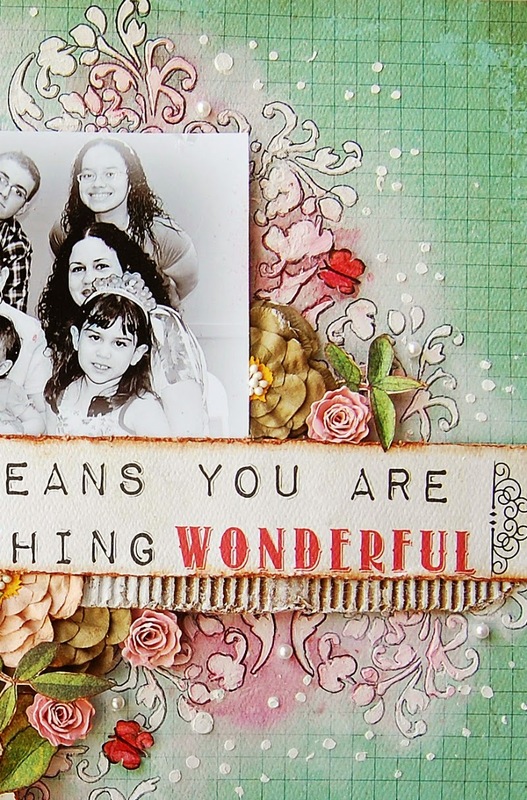 Gorgeous way to complement the wonderful family photo! Hugs! This looks stunning, it looks like a huge bouquet.. gorgeous..
Oh this is so beautiful! Such stunning embellishments.